Very clear and detailed jumper cables, with a lots of tranquility! 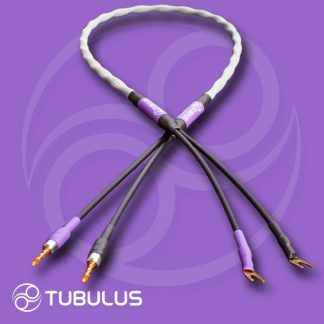 The TUBULUS Argentus Jumper Cables are based on pure silver and silvered copper conductors of various diameter. These conductors are surrounded by mainly air, because (except for a vacuum) air is the best dielectric. This air insulation is made possible by our tube construction, which can only be made by hand. 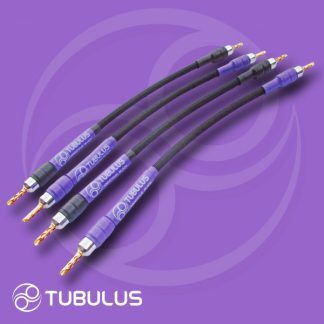 The pure silver and silvered copper conductors are treated with a special thermo-process (not cryo) to reallign the monocular structure. The TUBULUS Argentus Jumper cables is available with high quality gold plated spades or banana plugs, which are soldered with silver containing solder. 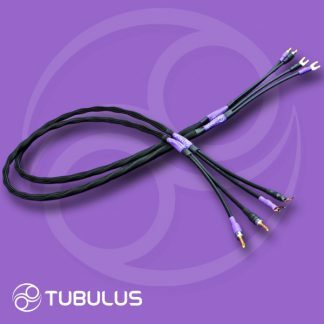 TUBULUS Argentus Jumper cables are hand crafted with love, expertise and devotion with no excess decoration or luxury packaging and therefore true value for your money!